This post is very bittersweet for me. It’s the last time I’ll ever share a Secret Recipe Club reveal again with you. I started participating in the group back in the summer of 2011 where I decided to make a croquembouche. From the beginning I loved the concept of the group; being assigned a new blog to explore and chose a recipe from. Some months were easier than others but I never skipped a month and have a huge collection of recipes on here that I likely would have never made otherwise. I’ve also met tons of other food bloggers and participated in other events with them. Overall, it’s been an awesome experience and I’m sad that it is coming to an end. I was assigned to The Hobo Kitchen which is written by Ellie. “Hobo” is short for Hoboken, a city in New Jersey where Ellie currently lives. She’s been food blogging just about as long as I have and has quite the variety of recipes to chose from. At first I thought I should pick an intricate recipe, to end the Secret Recipe Club on the same note that I came in on with a croquembouche, but then I started thinking about the holidays and quickly knew that I should make a recipe for that instead! I LOVE peppermint. Last year I even found a mini bottle of holiday edition peppermint vodka that I thought was freaking incredible. 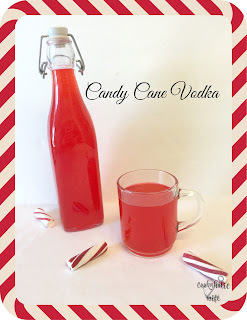 So of course when I saw that Ellie has a recipe for Candy Cane Vodka, my recipe search was over! 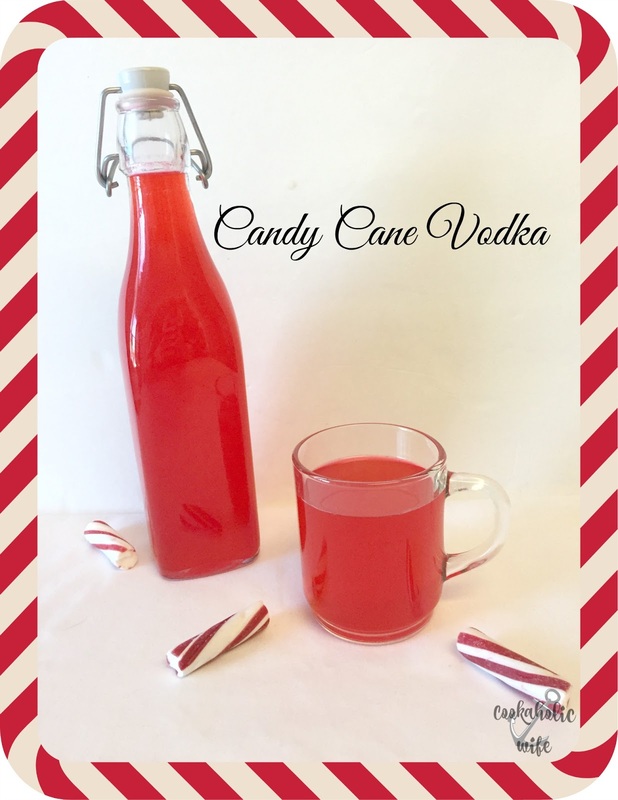 Candy canes are steeped in vodka for a great holiday flavored vodka. 1. Remove the wrappers from the candy canes and place them into a food processor or coffee grinder. 2. Grind into a fine powder. 3. Pour the powdered candy canes into a jar with a sealable lid. 4. Pour the vodka on top and shake to mix. 5. Let the mixture sit, shaking occasionally to dissolve the candy, until the vodka turns red, about 30 minutes. 6. Strain the mixture through a fine sieve to remove any large pieces of candy cane that did not dissolve. How easy is that? And how gorgeous is that red color? 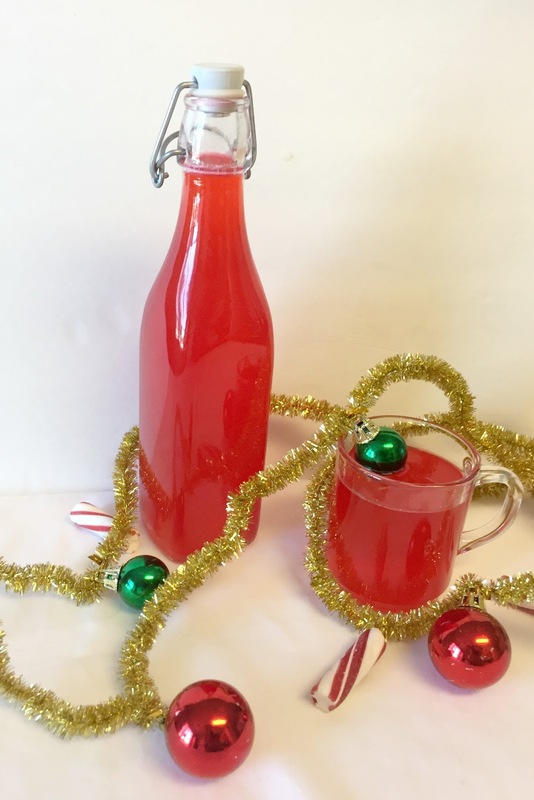 If straight shots of candy cane vodka aren’t your thing, you can also mix it into drinks and hot chocolate. Ellie suggests adding it to lemonade, champagne or eggnog. Those all sound like a great choice to me! 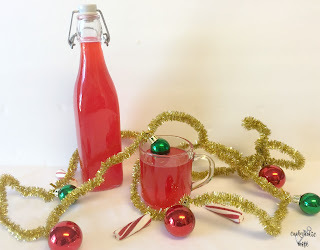 I've made candy cane vodka before and it is so easy, fun, and festive! Lovely for gift giving! So pretty – and what a great Holiday gift idea! What a great Holiday recipe Nichole. Perfect as we toast farewell to SRC. Looking forward to seeing you in other groups. Not certain how I managed to miss out on peppermint vodka. Being able to make my own is perfect. Sounds delightful! So festive!! I love it! I love that you made this recipe! It's one of my favorites and so appropriate for heading into cooler weather! This is so apropos at this time of year. Love the sound of a sweet flavored vodka for coffee, as a mixed drink sweetener or in a dessert. Will be trying this one for sure!